Hiking in Arizona is unlike any other. A brown and beige landscape dotted by green cactus below a soaring blue sky. I take a walk into the desert almost every chance I get. Brown's Mountain is admittedly more of a plateau than a mountain, but is an excellent destination for hiking in northern Scottsdale. 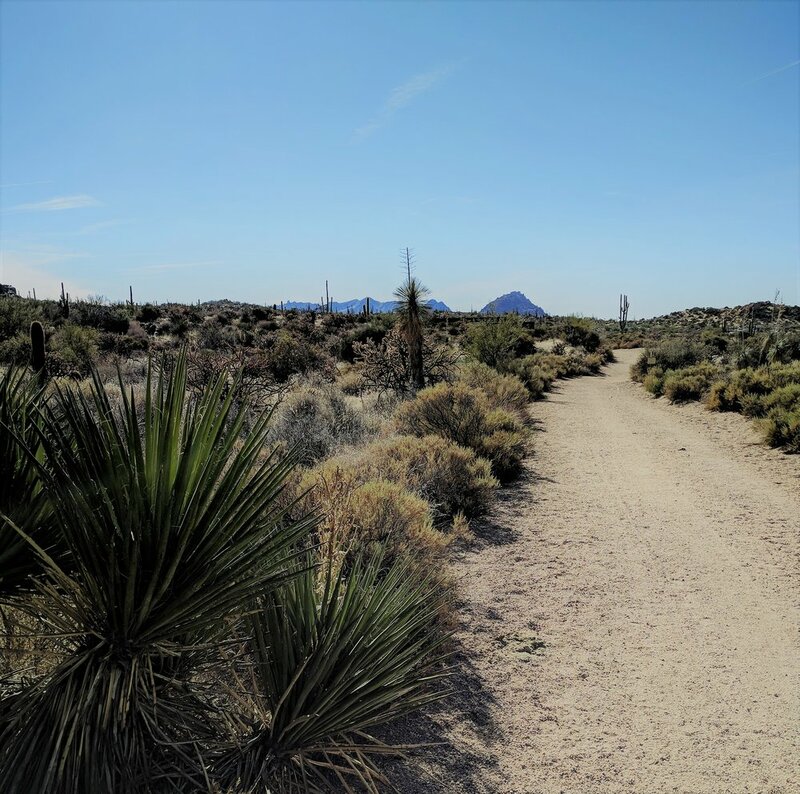 Nestled within the Brown's Ranch section of the McDowell Sonoran Preserve, a 30,500 acre wilderness boasting over 180 miles of trails. The trailhead itself is located approximately 1.25 miles north of the intersection of Alma School Parkway and Dynamite Boulevard. I've done this hike many times, the most recent being yesterday. What I like in particular about it, compared to the nearby, popular (and also excellent) Pinnacle Peak and Tom's Thumb hikes is that the area surrounding Brown's Mountain truly feels like being in a mostly undisturbed desert once one gets past the power lines approximately a half mile into the hike. After that, it's like strolling through a desert wilderness. 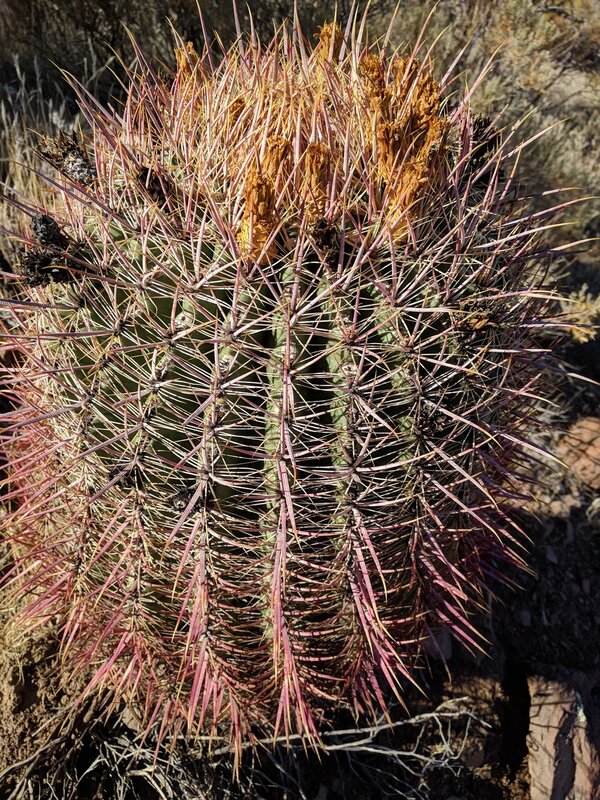 The thousands of saguaro cactus dotting the area only heighten the effect. Cone Mountain on the left, Brown's Mountain on the right. Although their are many hikes in the Brown's Ranch area, I like to head straight to the summit of Brown's Mountain. The well marked trail makes this easy. After spending some time perched on top of the plateau, I head back down but then turn left after approximately 250 yards at the sign below and head down the back side of Brown's Mountain toward the Upper Ranch trail. Once at the Upper Ranch trail, I simply head back towards the trailhead and parking area. This affords a great loop of approximately 4.2 miles. Overall, the hike is relatively flat except for going up and down Brown's Mountain itself. I've done it multiple times and seen all manner of hikers from kids and novices to the serious and robust on the trail. Highly recommended for a relatively easy, fun desert trek. Happy hiking. Like this post? Want to read more about Travis and Nicole's travel adventures? Check out The Meserve Reserve Favorite Books Of 2017.